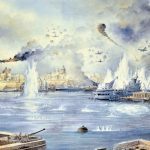 The tiny island of Malta in the central Mediterranean had a strategic importance out of all proportion to its size during the early years of the Second World War. 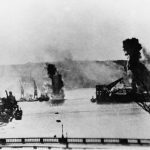 Bombing of the island began immediately after Mussolini’s declaration of war on 10 June 1940 and, besieged by Axis forces in Sicily, the island suffered a gruelling fight for survival that lasted until November 1942. In support of the impending German operations in North Africa in early 1941, the Luftwaffe’s Fliegerkorps X had arrived in Sicily in January. One of its first attacks was against the aircraft carrier HMS Illustrious, which was providing air cover for Operation EXCESS, a series of convoys destined for Malta, Alexandria and Greece. Illustrious was badly damaged by the attacks but she made it to Grand Harbour only to be attacked again on 16 January in the first major German air raid against the island—the ‘Illustrious blitz’. You can read more about the attacks and the damage suffered by HMS Illustrious here. The civilian casualties on 16 January numbered 56 men, women and children killed—the majority in Senglea and Vittoriosa. One of the embarked air squadrons in Illustrious was 806 Naval Air Squadron, the first squadron to be equipped with the Fairey Fulmar Mk 1. 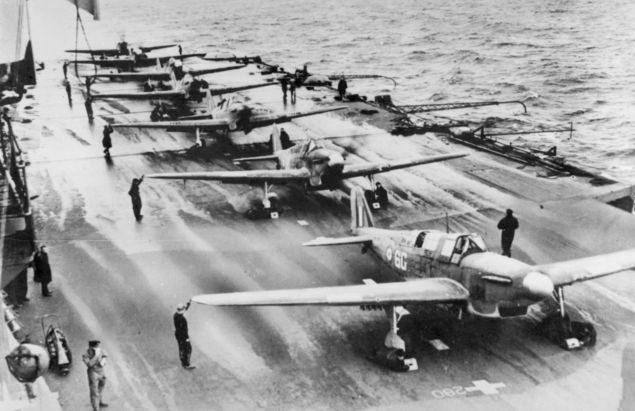 Although lacking the performance of the German and Italian fighters, the two-seat Fulmar was a robust and well-armed aircraft and, while HMS Illustrious was in Grand Harbour, the Fulmars of 806 Squadron were based ashore at RAF Hal Far from where they operated against the continued attacks on the island. At 2.15pm on 18 January 1941, an enemy air raid was identified approaching the island. Three Fulmars and five Hawker Hurricanes were scrambled to meet the attack. Unlike the attacks on the previous few days that targeted HMS Illustrious and the ‘Three Cities’, the 80 enemy bombers descended on the airfield at Hal Far, where one hangar was destroyed and two others damaged. A second raid less than an hour later attacked the airfield at Luqa, causing similar damage and destroying several aircraft on the ground. Finally, 30 minutes later, Hal Far was attacked again destroying another three aircraft. During the fighting over the islands, two Fulmars of 806 Squadron were lost. The first was shot down over Grand Harbour. 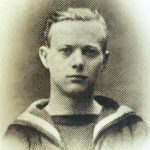 Unfortunately, the pilot, Acting Sub-Lieutenant A S Griffith, perished; the fate of his observer is unknown. Griffith had been mentioned in despatches for his conduct earlier in the war during the Norway campaign. In the early stages of that campaign he had crashed on landing on HMS Glorious. Although Griffith had escaped from the aircraft after it had gone over the side, his air gunner Naval Airman 1st Class N A Brown was trapped in the wreckage; his body was never recovered. The second Fulmar was piloted by Lieutenant R S Henley. During the battle, he had shot down a Ju 88 and claimed a Ju 87 ‘probable’. His aircraft was hit, however, and he ditched in the sea off Marsaxlokk on the south-east coast of the island. A Maltese soldier of the Royal Engineers, Sapper Spiru Zammit, was on duty and saw the crash. Without hesitation, he swam out to the ditched aircraft and rescued its observer, Leading Airman Rush, whom he kept afloat until rescued by the fast air-sea rescue launch HSL 107 based at nearby RAF Kalafrana. Lieutenant Henley managed to swim free of the aircraft and he too was picked up by the launch. Unfortunately, Leading Airman Rush did not survive to the summer. On 11 May, he was the observer in a Fulmar of 806 Naval Air Squadron—now flying off HMS Formidable—providing air cover for Operation TIGER, a resupply run of merchant ships from Gibraltar to Alexandria. Following an engagement with a Ju88, both aircraft crashed into the sea. Both he and the pilot, Sub-Lieutenant P D J Sparke DSC, were killed. Sparke was a most gallant pilot who had been awarded the Distinguished Service Cross in July 1940 for his conduct during the Battle of France and the Dunkirk evacuation. 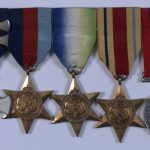 He would receive two more awards of the DSC; later in May a first Bar was announced for his part in the attack on the Italian Fleet at Taranto, and in December a second Bar would reward his conduct in the Mediterranean prior to his death. Leading Airman Rush was mentioned in despatches for his part in the Mediterranean operations. 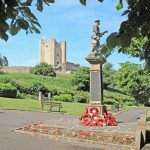 Kenneth Admiral Brown was born in Rotherham, Yorkshire on 1 December 1914, the son of Harold John Redfern Brown and his wife Meeda (née Summerscales). He died in an aircraft accident at sea when a Blackburn B-24 Skua of 803 Naval Air Squadron, piloted by Midshipman (Air Branch) A S Griffith, crashed while landing on HMS Glorious on 22 April 1940 (see below). 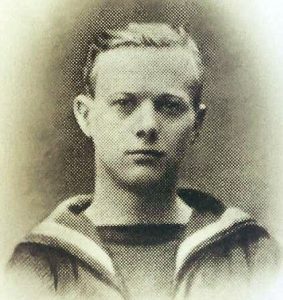 He is commemorated on the Fleet Air Arm Memorial, Lee-on-Solent, on Bay 1, Panel 4, and on the war memorial in Conisbrough, South Yorkshire. Arthur Stephen Griffith was born in the second quarter of 1920, the son of William Arthur Griffith, a shipwright, and his wife Florence Susan (née Cooks), of Iver Heath, Buckinghamshire. He was commissioned into the Royal Navy on 16 January 1939 and qualified as aircrew on No. 4 Air Course at No. 20 Elementary and Reserve Flying Training School, Gravesend, which began on 1 May 1939. On 22 April 1940, 12 Blackburn B-24 Skuas of 803 Naval Air Squadron departed RNAS Hatston in the Orkney Islands to join HMS Glorious for the Norway campaign. As he landed, Griffith crashed and the aircraft went over the side. He was rescued but Telegraphist Air Gunner, Naval Airman 1st Class K A Brown did not escape the aircraft. On 27 April the surviving four Skuas of 803 Squadron joined HMS Ark Royal. Griffith was promoted to Acting Sub-Lieutenant (Air Branch) on 2 June 1940. For his gallantry in April and May 1940 he was mentioned in despatches on 25 June 1940 for ‘daring and resource in the conduct of hazardous and successful operations by the Fleet Air Arm on the Coast of Norway.’ Having converted to the Fairey Fulmar, he flew one of three Fulmars off HMS Ark Royal on 9 November 1940 to join 806 Naval Air Squadron in HMS Illustrious. Flying Fulmar L1881 from Hal Far in Malta, Acting Sub-Lieutenant Griffith was killed in action on 18 January 1941, aged 20; he is commemorated on the Fleet Air Arm Memorial, Lee-on-Solent, on Bay 1, Panel 7. His wartime tally was two aircraft destroyed—a Ju88 (Norway) and a Ju87 (Malta)—and three damaged (all in Norway). Alfred Samuel Rush was born on 31 January 1915, the son of John Thomas Rush and his wife Alice Mary (née Coward). Rush, known as ‘Dumpy’ by his family, joined the Royal Naval Volunteer Reserve and, mobilised on the outbreak of war, by 1941 he was a Leading Airman serving with 806 Naval Air Squadron in HMS Illustrious. He was shot down on 18 January 1941 over Malta but was rescued from the sea by Sapper Spiru Zammit and the crew of High Speed Launch 107. He subsequently joined HMS Formidable and, while flying as the observer for Sub-Lieutenant Sparke, he was killed in action on 11 May 1941 (see below). He is commemorated on the Fleet Air Arm Memorial at Lee-on-Solent, on Bay 2, Panel 7. He was mentioned in despatches on 1 July 1941. Philip Donald Julian Sparke was born in 1918, the son of James Donald Sparke and his wife Mary Virginia (née Jefferson). His father served as an airman with the Royal Naval Air Service and the Royal Air Force during the First World War. Sparke was commissioned into the Royal Navy on 4 July 1938 and qualified as a pilot (Midshipman (Air Branch)) at No. 1 Flying Training School, Netheravon, on 10 September 1938. He was promoted to Acting Sub-Lieutenant on 29 November 1939 and to Sub-Lieutenant on 14 March 1940. 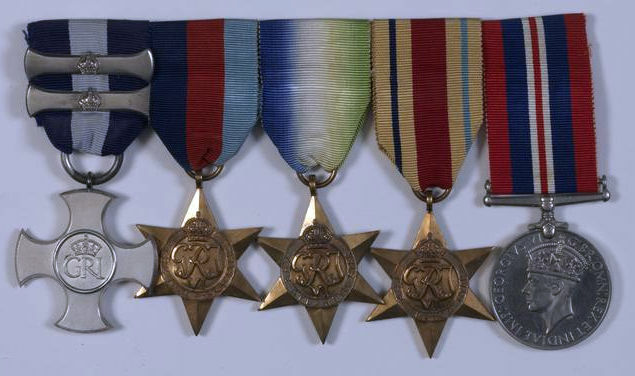 In the early stages of the war, ‘Spike’ Sparke served with 815 Naval Air Squadron and was engaged in operations in the channel during the Battle of France and the Dunkirk operation, for which he earned his first Distinguished Service Cross ‘…for daring, endurance and resource in the conduct of hazardous and successful operations by the Fleet Air Arm working with the Coastal Command in France and over the Channel.’ On the night of 11–12 November 1940, with his observer Sub-Lieutenant J W Neale in Fairey Swordfish L4C (nicknamed ‘Cleo’), he took part in Operation JUDGEMENT, the attack launched from HMS Illustrious against the Italian fleet at anchor in Taranto harbor, for which he was awarded a Bar to his DSC ‘…for outstanding courage and skill in a brilliant and wholly successful night attack by the Fleet Air Arm on the Italian Fleet at Taranto.’ In the spring of 1941, he joined 806 Naval Air Squadron, flying Fairey Fulmars off HMS Formidable. While flying with Leading Airman Rush (see above) during operations on 11 May to provide air cover for Operation TIGER, a resupply run from Gibraltar to Alexandria, their Fulmar crashed into the sea after an engagement at very close range with a Ju88 of Staffel 7, Lehrgeschwader 1, which also crashed. 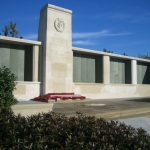 He was subsequently awarded a second Bar to his DSC for ‘…courage, resolution and devotion to duty in operations in the Mediterranean.’ Sparke is commemorated on the Fleet Air Arm Memorial at Lee-on-Solent. In his brief but spectacular career, his wartime tally was four aircraft destroyed—two Ju52 (off Tripoli) and two Ju88 (off Alexandria)—and two shared—two Ju88 (near Sicily and Malta). 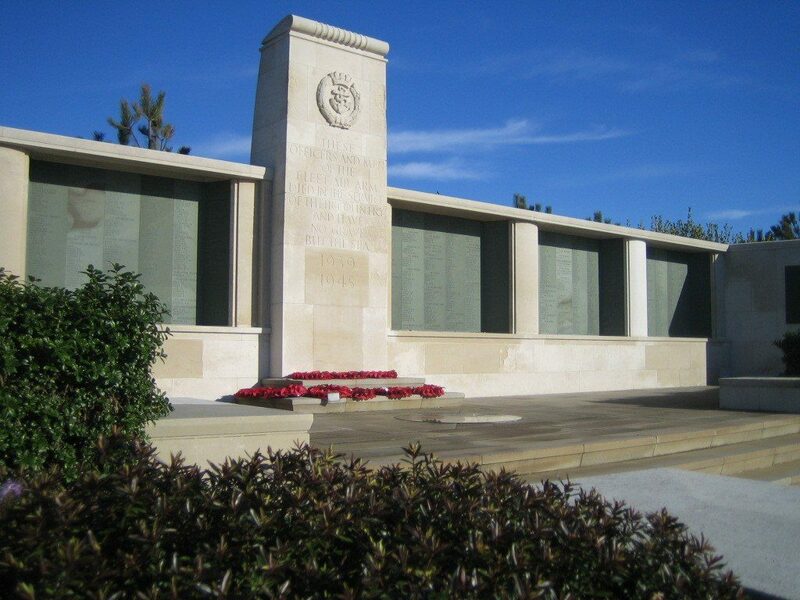 The Australian War Memorial for the photographs of the attack on Grand Harbour, Malta and of HMS Victorious. 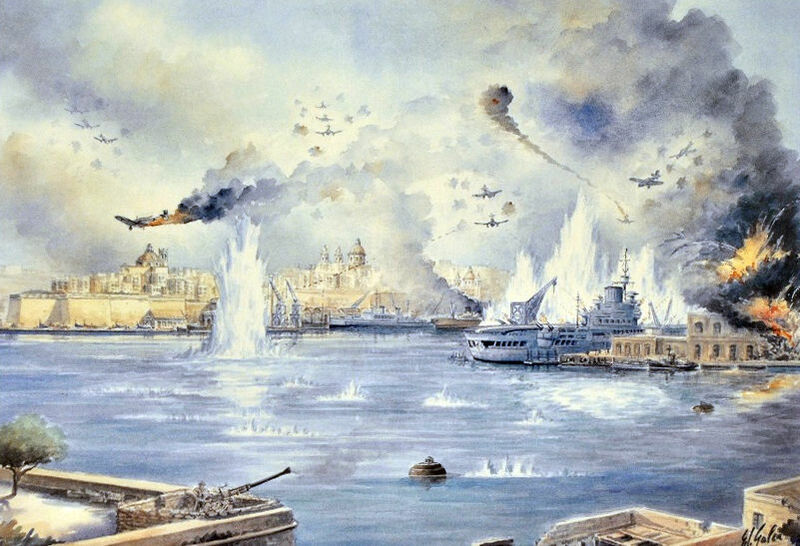 Edwin Galea for his permission to use the copy of his painting ‘HMS Illustrious at Malta 1941‘. The Imperial War Museum for the photograph of the medals of P D J Sparke and High Speed Launch 107. Juliet Monckton for permission to use the photographs of he great-uncle, Leading Airman A S Rush. 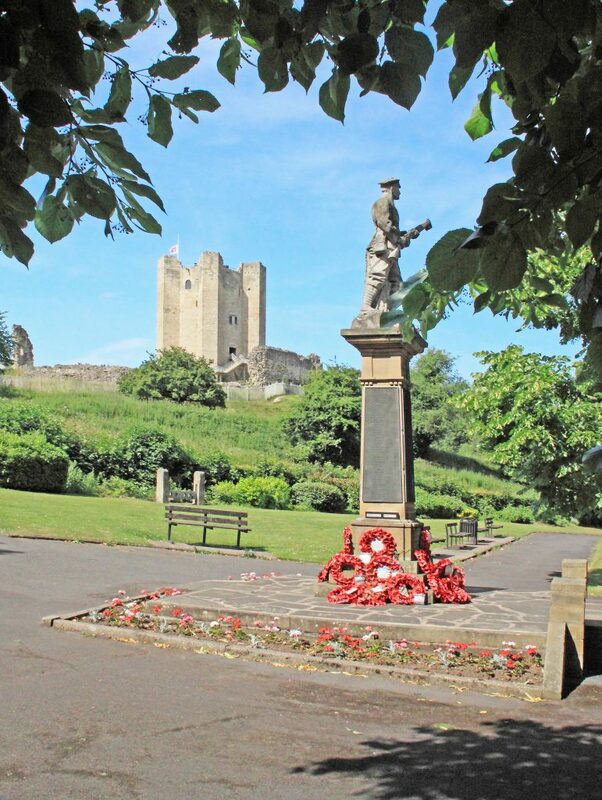 Bill Tennent for the photograph of Conisbrough War Memorial. 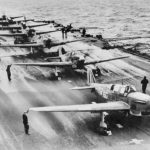 Armoured Aircraft Carriers In World War II. Malta: War Diary. 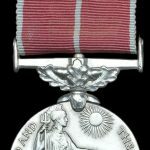 Story of a George Cross. Attard, J. (1988). The Battle of Malta: An Epic True Story of Suffering and Bravery. Malta: Progress Press. Cauana, R J. (1997). Malta George Cross: Victory in the Air. Malta: Modelaid International Publications. 1. (Back) Some reports record this action as occurring on 19 January. 2. 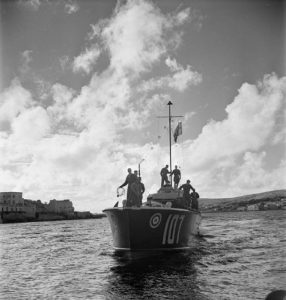 (Back) Until October 1941, HSL 107 was the only rescue launch based in Malta. By late 1944 she and her crew had rescued 67 allied and 16 enemy aircrew. For an account of the work of HSL 107 see: Jackson, B. (2010). Air Sea Rescue During the Siege of Malta. Leicester: Troubador. 4. (Back) Acting Lieutenant General William George Shedden Dobbie CB, CMG, DSO. Later Lieutenant General Sir William Dobbie GCMG, KCB, DSO. 5. (Back) London Gazette 15 April 1941. Issue 35135, page 2163. 6. (Back) The National Archives (TNA). Public Record Office (PRO). (1939-1945). Recommendation for Award for Zammit, Spiru. WO 373/105/592. 7. (Back) London Gazette 12 July 1949. Issue 38664, page 3407. 8. (Back) TNA. PRO. Op. Cit. 9. (Back) 1938 DH 82a Tiger Moth N-5490. The Pilots. 10. (Back) For an account of the actions of 803 Naval Air Squadron and more about Griffith’s contribution to the operations in Norway see: Smith, P C. (2006). SKUA! : The Royal Navy’s Dive-Bomber. Philadelphia: Casemate. 11. (Back) London Gazette 25 June 1940. Issue 34882, page 3919. 12. (Back) Shores, C. (2004). Those Other Eagles. p 235. London: Grub Street. 13. (Back) London Gazette 1 July 1941. Issue 35204, page 3745. 14. (Back) London Gazette 5 July 1940. Issue 34890, page 4152. 15. (Back) London Gazette 20 May 1941. Issue 35166, page 2869. This was a consolidation list that combined new awards with those that had been announced on two previous lists. 16. (Back) London Gazette 2 December 1941. Issue 35365, page 6890. 17. (Back) Shores, C. & Williams, C. (2008). Aces High. p 560. London: Grub Street.